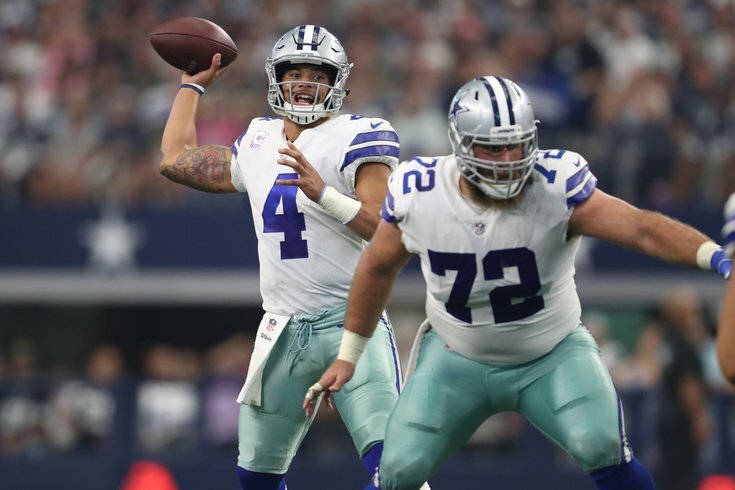 Dallas Cowboys Pro Bowl center Travis Frederick had been out of practice recently after suffering from what was thought to be a stinger injury. It turns out that Frederick has a much more serious condition, per a statement he released via Twitter. Guillain-Barre (gee-YAH-buh-RAY) syndrome is a rare disorder in which your body's immune system attacks your nerves. Weakness and tingling in your extremities are usually the first symptoms. These sensations can quickly spread, eventually paralyzing your whole body. In its most severe form Guillain-Barre syndrome is a medical emergency. Most people with the condition must be hospitalized to receive treatment. There's no known cure for Guillain-Barre syndrome, but several treatments can ease symptoms and reduce the duration of the illness. Most people recover from Guillain-Barre syndrome, though some may experience lingering effects from it, such as weakness, numbness or fatigue. Frederick was a first round pick of the Cowboys in the 2013 NFL Draft. In five years in the league, he has three All-Pro nods (one first-team, two second-team), and four Pro Bowl appearances. Of secondary importance, this is big blow to the Cowboys' offensive line. With Frederick out, career backup Joe Looney has been filling in at center.